In a blog entry after her apparent suicide, Leelah Alcorn details feeling rejected by her Christian family and community for being trans, sparking an outpouring of grief and resolution by trans youth advocates. 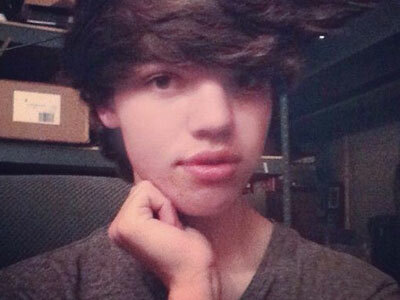 Leelah Alcorn, a 17-year-old transgender youth, was killed in the early morning hours of December 28 when a tractor trailer hit her on Interstate-71 in Union Township, Oh., several miles from her home, reports local news station WXIX. Officials have ruled her death a suicide. Two hours after her passing, a letter titled "Suicide Note" was posted to Alcorn's Tumblr blog, explaining that she was a transgender girl who had experienced painful rejection from her family and their Christian community. The note, as it states, was written prior to Alcorn's suicide and posted from her blog's queue, intended to become accessible to viewers if Alcorn's suicide prevented her from being able to remove it. Cincinnati city council member Chris Seelbach and a number of Alcorn's friends have indicated to media that the post was indeed written by Alcorn herself. In her note, Alcorn shares that being socially isolated and unaccepted by her devoutly Christian parents had contributed to her feeling like "the life I would've lived isn't worth living in." She urged parents not to use religion as a tool to discourage their children from embracing their identities, which she said she experienced. "Even if you are Christian or are against transgender people don’t ever say that to someone, especially your kid," she wrote. "That won’t do anything but make them hate them self. That’s exactly what it did to me." The note goes on to detail how Alcorn came out and found acceptance from peers, but experienced anger and disappointment from her parents who ultimately pulled her out of public school and allegedly prevented her from contacting peers on her phone or online for several months. Local reporters have confirmed that Alcorn had left Kings District County Schools and was enrolled in the Ohio Virtual Academy for 11th grade. Even after regaining contact with old friends, according to the note, Alcorn appears to have still felt lonely, and unsatisfied with her body and inability to express her gender identity in a way that felt affirming to her. Combined with the pressures of considering college, maintaining high grades in school, attending a church where she felt "everybody... is against everything I live for," and saving money to move out of her parent's home led Alcorn, the note says, to feel suicidal. A second blog post expresses her anger at her parents for trying to "control" her and apologizes to her five siblings. Alcorn's final words have rocked the hundreds of thousands who have read her blog post, as well as advocates for transgender youth. The note's content resonates with the experiences of countless trans children and teens who feel unaccepted by loved ones and has led many to question how Chrstian communities and families can be more open and supportive of their trans members. An outpouring of grief has erupted online with many expressing remembrance of Alcorn, thoughts about suicide prevention, and ire at Alcorn's mother — who has reportedly publicly acknowledged her child's passing on social media, but has not acknowledged Alcorn's trans female identity, name, pronouns, or that her death has been ruled a suicide -- with the hashtags #LeelahAlcorn and #JusticeForLeelahAlcorn. Trans advocates are also decrying the use of male pronouns and Alcorn's birth name by local news outlets reporting on the case. At least one Cincinnati station, WPCO, has now begun referring to Alcorn with gender-affirming pronouns and with the name she herself used, Leelah, after "transgender advocates inundated our staff with requests to change [Alcorn's pronoun and name] in our previous web story." "Let Leelah be our guide to right action," concludes Riley Johnson, executive director of trans health resource RAD Remedy, in conversation with The Advocate. "We must fix this and set our energies toward creating the means for our young people to live their truth." If you are a transgender person thinking about suicide, or if someone you know is, you can reach the Trans Lifeline at 877-565-8860 or the National Suicide Prevention Lifeline at 1-800-273-8255. LGBT youth thinking about suicide can also reach out to the Trevor Project Lifeline (ages 24 or younger) at 866-488-7386.